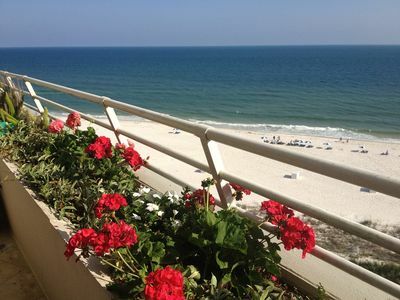 La Playa 902- Amazing Beach Front Balcony Views! 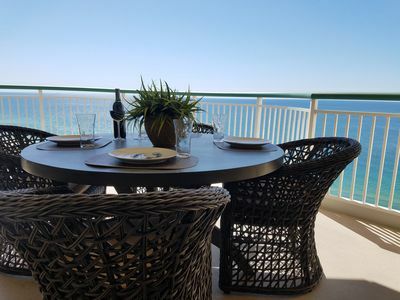 Experience nothing but luxury, fun in the sun and rest & relaxation on your next vacation when you stay in this 9th floor unit at the La Playa Resort! 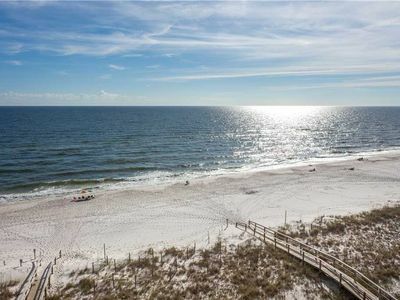 Featuring an abundance of customized living space and countless upgrades, this lovely property is situated upon the sparkling shores of Perdido Key, where soft white sands give way to glistening emerald waters. This stunning 3 bedroom, 3.5 bath home with its luxury and comfort, make it the perfect destination for a retreat that you’ll never forget. 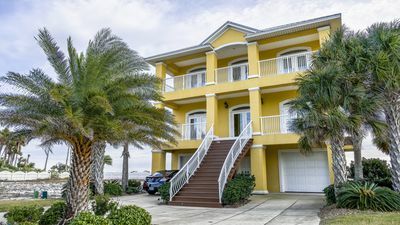 The floor-to-ceiling windows in the living, dining and master suite afford picturesque vistas of Perdido Key’s immaculate beaches where you'll enjoy watching the Pelicans dive for their catch, dolphins playing in the surf and a heron waiting for a surf fisherman to throw a small catch his way. 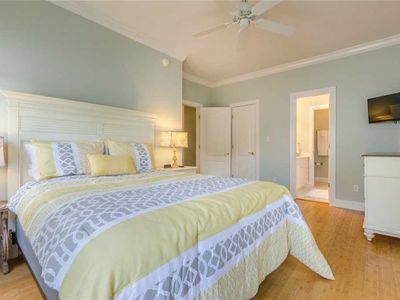 10' ceilings and crown moldings, accompanied by designer furnishings, luxury finishes and beautiful accents throughout give the space the feel of a coastal retreat but with a distinguished flair. 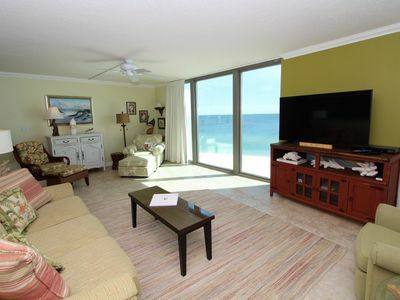 The living area affords comfortable seating where you can kick back and watch the game or a movie on the large LCD television, or open the doors to the vast 450 square foot beachfront terrace! 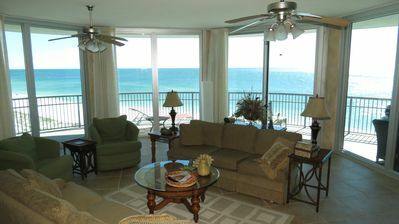 The expansive terrace is your comfortably furnished outdoor living room, where you will spend countless hours savoring morning coffee and the magnificent sunrises, taking in the panoramic views of the emerald coast and sea life while enjoying the solace of the waves breaking on the beach, delighting in the splendor of coastal living. The fully equipped gourmet kitchen includes stainless appliances, granite counters, modern custom cabinetry, ice maker, wine chiller and plentiful storage space. Whether you love to cook or prefer eating out, you’ll enjoy preparing your favorite meal in this gourmet kitchen! 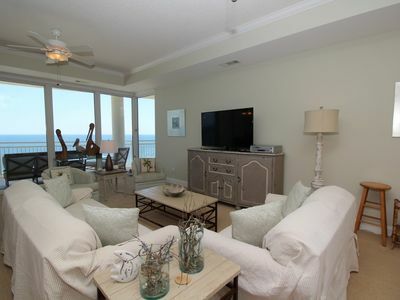 The dining area, with expansive views of the gulf, boasts a chic built in cabinet with wine chiller and table with seating for 6, with additional seating for 4 at the kitchen bar counter. 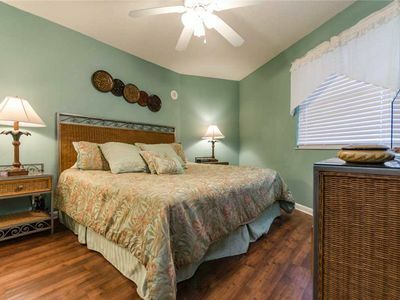 The master suite is fit for royalty, with its king bed and luxurious bedding and linens, a large LCD television, walk in closet and beachfront terrace access! Wake up and open the doors to your expansive terrace and take in the million dollar views! The in-suite master bath is equally impressive, featuring a 2-person jetted tub, huge separate glass shower, double vanities and even a bidet! 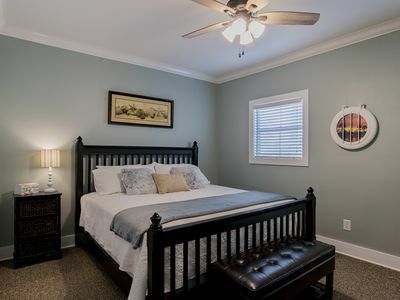 The second bedroom also offers a King sized bed with deluxe bedding and the third bedroom offers a Queen sized bed with deluxe bedding! 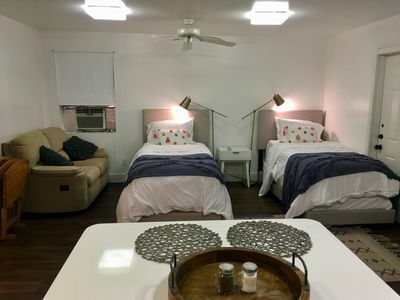 Each bedroom offers a private bath, premium mattresses, fine décor, views to the north side of the Key and LCD televisions. 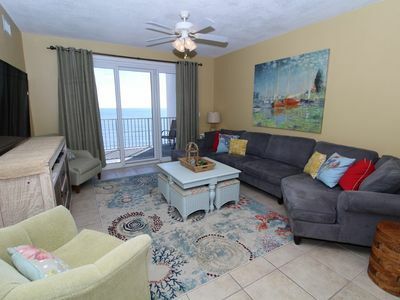 The La Playa features luxury amenities, including a gulf front seasonally heated pool, fitness center with gulf views, boardwalk to the beautiful beach, and an assigned covered parking spot! If you are looking for a less congested destination instead of crowded and noisy properties such as Turquoise Place, Indigo or Meditteranean, La Playa is the perfect place for you! With only 36 residences and a more secluded private beach area, it’s the perfect getaway for the discriminating traveler. Ranked by Condé Nast Traveler as one of the top 5 swimming beaches in Perdido Key is nestled amidst the pristine shores of Florida's Emerald Coast and is rapidly becoming a favorite vacation destination for those who want to relax and enjoy the tranquility of coastal living without the congestion and development found in other popular Florida destinations. 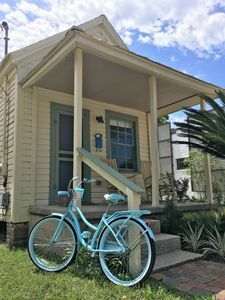 “The Key” offers an abundance of recreation and activities, including fantastic restaurants, championship golf courses, water sports and lovely shops and boutiques. The Pensacola Naval Air Station is a 15 minute drive from Perdido Key, a great place to take the family! 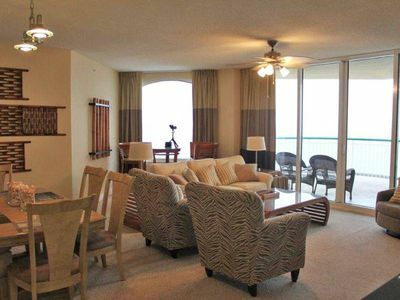 La Playa limits occupancy to 2 adults per bedroom, and onsite parking to 1 vehicle per unit. Limited offsite parking may be available. 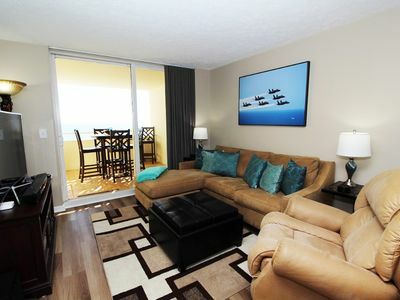 Indigo West 903- Beach Front View with Luxurious Interior and Amenities! 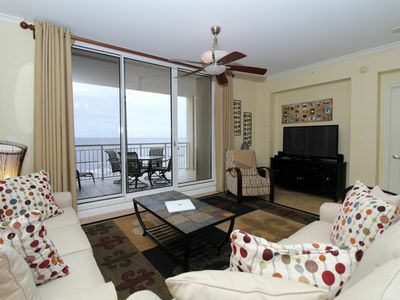 Perdido Towers West 908-Beach Front Getaway on the Gulf Coast! Amazing Views! 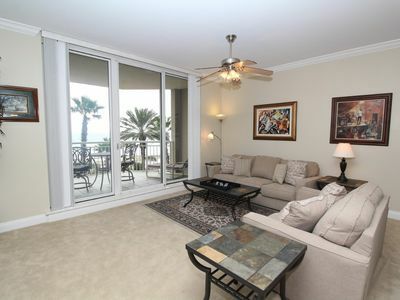 Capri 601- Beach Front Unit with Upscale Amenities & Large Terrace! Windemere 702-Beach View From Terrace with Coastal Interior! Stay in the Penthouse!! 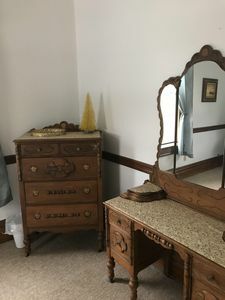 And for the Same Price as all the Others!! 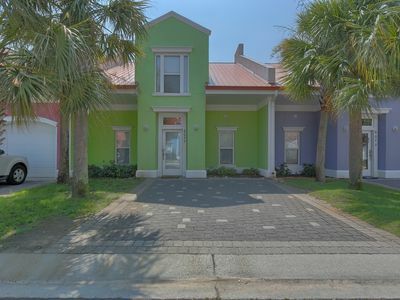 The "Jesse", a 1903 cottage in Historic District of downtown Pensacola. 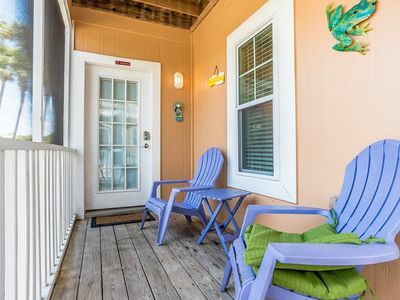 Blount Street Retreat is a private apt close to beach and conveniently located. 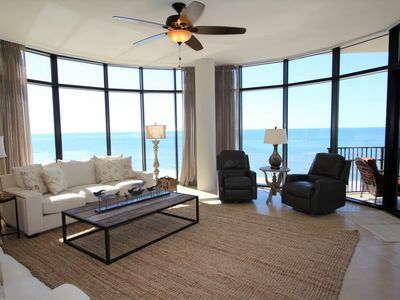 Gulf Front Condo with Stunning Views!